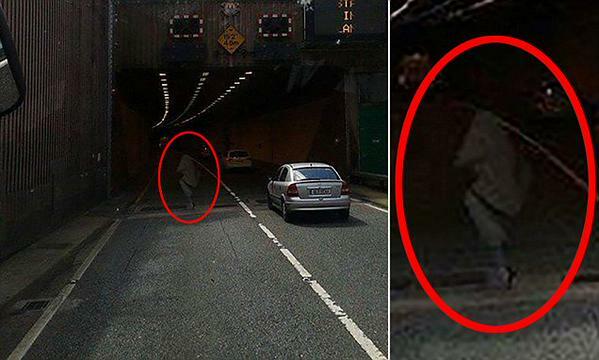 The ghost of a drowned man has been caught on camera wandering through a tunnel while traffic drives through him. 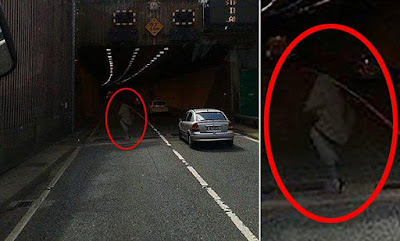 At least that's according to long distance lorry driver George Furst, whose colleague Stephen Smyth took the snap as they drove into the tunnel in Cork, Ireland. When the pair checked the photo, the spotted what they believe could be a Downton Abbey period spectre, who met his end in the area.